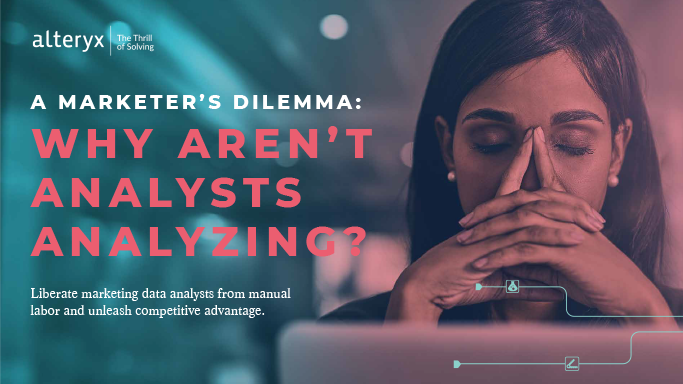 As a marketing analyst, you’re expected to uncover meaningful insight that drives results — like gauging the effectiveness of promotions and campaigns, or refining customer segmentation and prospect targeting. But spending 80% of your time prepping data from social media, marketing automation platforms, Salesforce.com, and more keeps you from bigger goals. Instead, you’re grappling with spreadsheets, custom databases, and multiple other siloed sources. Have a look at our e-book to learn how to automate the cumbersome parts of your job, so you can get back to analyzing.